Will You Make the Arctic Commitment? The Arctic is warming at an accelerating rate and as sea ice continues to melt away, Arctic waters are becoming increasingly navigable to vessels carrying heavy fuel oil (HFO). HFO, which is one of the world’s dirtiest fuels, is not only virtually impossible to clean up in the event of a spill, but also produces higher levels of air and climate pollutants than other marine fuels. Given the severe risks that heavy fuel oil poses to polar environments, the international shipping community has already banned its use in the Antarctic. It is now time to provide the Arctic, an ecosystem that is equally vulnerable to disturbance and pollution, with similar protection. Heavy fuel oil (HFO) is an extremely toxic and viscous marine fuel that breaks down slowly in the marine environment, particularly in colder regions like the Arctic. In the event of a heavy fuel oil spill, lack of infrastructure, uncharted waters, severe weather conditions and navigational hazards such as sea ice, make spill response efforts nearly impossible. HFO spills pose a severe risk to many indigenous residents of the Arctic region that depend on marine resources for their nutritional, cultural, and economic needs. HFO produces higher emissions of harmful pollutants like sulphur oxide, nitrogen oxides, and black carbon, all of which have been linked to an increased risk of heart and lung disease and premature death. Switching from HFO to low-sulphur distillate fuel would reduce black carbon emissions by 30%-80%. Black carbon has a potent climate warming effect when emitted at high latitudes. The warming impact is increased by at least a factor of 3 in the Arctic region as compared to emissions over the open ocean. This is because in the atmosphere, the black carbon particles absorb incoming radiation from above, as well as reflected radiation from below – doubling the warming impact. When black carbon particles fall onto the Arctic snow and ice, radiation scattered from the snow and ice hits the deposited black carbon particles and causes further warming, plus the amount of sunlight reflected back into space is reduced. Snow and ice melt is accelerated increasing the surface area of exposed, dark ocean water, and promoting a self-reinforcing cycle of human-induced climate warming. Banningthe use and carriage of HFO for fuel in Arctic waters is the most direct mechanism for mitigating the numerous consequences of an HFO spill and reducing harmful emissions in the Arctic region. For example, switching from HFO to an alternative fuel, such as low-sulphur distillate fuel, is expected to reduce BC emissions by an average of 30 percent. In recognition of the dependence of some Arctic communities on HFO for household use, the Clean Arctic Alliance is not currently focused on the carriage of HFO as cargo. However, in order to address the risk of an HFO spill in Arctic waters, the carriage of HFO as cargo must be considered at a future time. Banning the use and carriage of HFO for marine fuel is the most effective mitigation strategy and is a priority at this time. 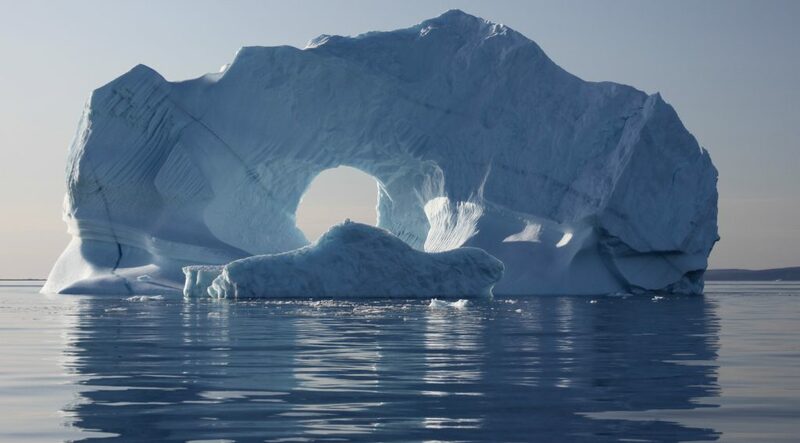 Accordingly, the International Maritime Organization, which is the appropriate international body to regulate the use and carriage of HFO, must adopt a legally binding instrument to ban the use of HFO as marine fuel in Arctic waters by 2020.